The main source of lead poisoning for Bay Area children comes from lead paint in old homes. But just last year, some Bay Area schools realized they had a lead problem in their drinking water, too. KALW Crosscurrents host Hana Baba talked with health and environment reporters Marissa Ortega-Welch and Angela Johnston about lead in school drinking water. How big of a problem is this? How many Bay Area schools have high levels of lead? Local water districts have been testing drinking fountains and water faucets at schools all over the Bay Area and most schools are fine. The EPA sets the standards for safe drinking water; water systems must take action if any water source has over 15 parts per billion of lead in a liter of water. Most schools in the Bay Area have lead levels way under this amount. However, a handful of schools in Oakland and San Francisco Unified School Districts showed test results with extremely high levels of lead. A few schools have more than two times the recommended maximum level of lead. One school in San Francisco had nearly 60 times the maximum recommended level of lead! Health advocate groups like CalPIRG say no level of lead in the water is safe for children, and schools should take actions to reduce lead levels in all water sources. The problem isn’t the water or even the pipes in the municipal water systems. Local water districts test for lead before sending the water throughout the system, and districts also monitor pipes for lead. The main problem is that many fixtures in schools, like drinking water faucets and taps, can have small amounts of lead. When the water sits in these fixtures over time, especially overnight, lead gets in the water. Water districts recommend flushing taps to reduce lead exposure — if you run your tap before you drink the water, the water with lead in it flushes out. A few older schools have also found pipes within the building that contain lead. While lead in drinking water should be taken very seriously, in the Bay Area the vast majority of child lead poisoning cases are actually caused by lead paint in old homes. What are schools doing about this? Different school districts are taking slightly different approaches, but all districts took action immediately. 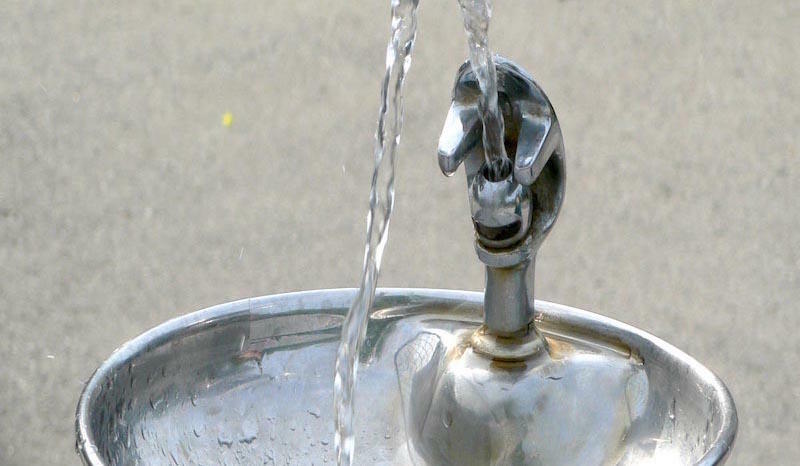 Schools shut down the particular drinking fountains or taps that tested high for lead. If possible, schools are then replacing the fixtures and pipes. In the interim, some schools have set up hydration stations where students can refill water bottles and are giving out free reusable water bottles. Some schools are also installing filters that can filter out lead. Why is this problem only being discovered right now? A new law went into effect this year in California that requires all K-12 public schools to test school water for lead. Testing began in January 2018, and all schools have to test their water sources by July 2019. Many Bay Area school districts started testing last year, in anticipation of the new law. Lead in drinking water also made Bay Area news last year, when McClymonds High School noticed it had high levels of sediment in the school’s drinking water, so the school asked for the water district to test taps. It turned out the water also had high levels of lead in a couple of taps. School districts are still in the process of testing, and not all schools have been tested yet. Go to your school district’s website to find out the latest test results and recent actions taken. For private and parochial schools, contact the school directly. This interview is part of the KALW News series “Persistent Poison: Lead’s Toxic Legacy in the Bay Area,” and was originally broadcast on March 27, 2018.